Employers usually issue a formal contract stating such details as job title, position, salary, working hours, benefits, duties and responsibilities, and the duration of employment. 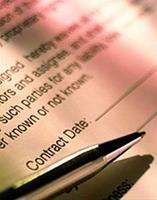 Employment contracts usually contain a paragraph stating the date from which they take effect and to whom they apply. Contracts must be carefully worded and you should take expert advice before drafting them. For example, whether or not an employee can be required to work at a different location than the one he was hired for or to move if the company moves depends on the wording of his contract. 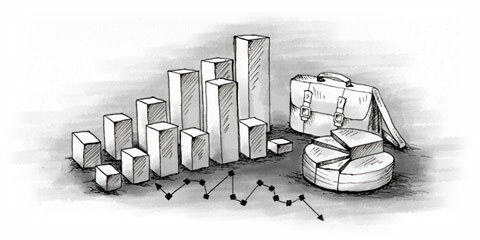 some sectors, e.g. the catering trade, you must use a standard contract. Anything in contracts contrary to statutory provisions and unfavourable to an employee may be deemed null and void and any exclusion clauses must be ‘clear and comprehensible’. All contracts must be written in French. There are three main types of employment contract in France: a temporary contract, a fixed term contract and an indefinite term contract. For workers in specific sectors (e.g. the theatre), where the use of temporary contracts is habitual. A fixed term contract ( contrat à durée déterminée/CDD) is, as the name suggests, a contract for a limited term. This is normally a maximum of 18 months, although it’s limited to nine months if a post is due to be filled permanently and can be extended to two years if the post is due to be suppressed (there’s no minimum term). A contract for longer than two years comes under the rules for indefinite term contracts, particularly regarding the dismissal of employees. A term contract must be in writing and for a fixed term or, in the case of temporary employment, for a specific purpose that must be stated in the contract. A term contract ends on the date specified, although it can be renewed twice for a term no longer than the original contract, provided it doesn’t exceed two years in total. A CDD can also be for replacement of a specific employee (usually someone on maternity leave) or a general replacement over the summer (to pick up the slack while various employees are off on holiday). CDDs are strictly regulated, mainly because they’re considered a contributing factor to the ever-increasing ‘precariousness’ of employment ( précarité d’emploi). For example, the salary of an employee hired on a fixed term contract mustn’t be less than that paid to a similarly qualified person employed in a permanent job. The employee has the right to an end of contract bonus ( indemnité de fin de contrat) equal to 10 per cent of his salary, in addition to other agreed bonuses, although this doesn’t always apply to seasonal employees. Contracts for seasonal and temporary workers fall under the same rules as for a CDD contract. A CDD can be issued when a permanent employee is on leave (including maternity or sick leave), if there’s a temporary increase in business, or at any time in the construction industry or for youth employment schemes. An indefinite term contract ( contrat à durée indéterminée/CDI) is the standard employment contract for permanent employees. Surprisingly, it isn’t necessary for it to be in writing (unlike a term contract), although it’s in your interests as well as the employee’s to provide a written contract. A CDI often includes a trial period of one to three months (three months is usual), depending on collective agreements, before it becomes legal and binding on both parties. The trial period doesn’t really affect the binding nature of the other terms of the contract, just the initial period of time during which either side can terminate the contract without the severance benefits and notice periods taking effect. There can also be a lower rate of pay during the trial period, but the hours and other terms must be in force. This article is an extract from Making a living in France.